The aroma of a steaming cup of soup was the first thing to welcome attendees of Indiana University’s November First Thursday event. As students and community members filed into the IU Auditorium, they were welcomed in by volunteers with the First Nations Educational and Cultural Center, who worked with Gary Morseau, food sovereignty chair of the Pokagon Band of Potawatomi, to provide samples of the tribe’s cuisine. But the soup, made of hominy, beans, smoked squash, and ground cedar, did more than warm up every person who stopped by for a sample. It also gave attendees the chance to experience a traditional Potawatomi recipe that remains important to the tribe’s culture today. “People had the opportunity to engage in something native, in a contemporary aspect of native culture through food,” said Nicky Belle, director of the First Nations Cultural and Educational Center. Morseau’s visit to First Thursday was just the first in a series of events marking Native American Heritage Month at Indiana University. Celebrated nationwide every November, Native American Heritage Month provides the campus an opportunity to highlight the ongoing work of the First Nations Educational and Cultural Center, a cultural center supported by the Office of the Vice President for Diversity, Equity, and Multicultural Affairs. Throughout the month, these events mirror the FNECC’s objective year-round: correcting the damaging stereotypes about Native Americans and bringing discussions of indigenous communities into the present tense. Morseau’s visit to Indiana University was a key way to introduce the campus to these contemporary narratives through an accessible medium: food. In addition to his presence at the First Thursday event, where he handed out samples of Potawatomi soup, Morseau also participated in a group lunch and a panel about food, culture, and the environment. The capstone of his visit took place on Saturday, Nov. 3, when Morseau led a daylong cooking workshop for a group of students at the FNECC. As the group roasted ducks over a fire, Morseau taught students how to make traditional Potawatomi dishes that remain critical to the group’s cultural heritage today. “It was these foods that people are familiar with, but it was prepared in some new way they were not familiar with. It gave people a direct connection to this other cultural experience through food,” Belle said. Throughout Native American Heritage Month, the events put on by the FNECC focused on depicting Native American communities accurately and in a dignified light. In addition to celebrating native cultures, this also meant fostering important discussions on the issues that indigenous communities still face in North America. Such was the case with the screening of Hollow Water, a documentary chronicling an Ojibway community working to overcome a tide of sexual abuse. Hosted by the FNECC and Middle Way House, an organization dedicated to supporting survivors of domestic and sexual violence, the documentary gave attendees the chance to discuss the Hollow Water community’s use of indigenous restorative justice techniques to rehabilitate offenders and seek justice for survivors. In doing so, the discussion panelists touched on the inherited legacy of trauma in native communities, as well the ways indigenous peoples are reclaiming their cultural traditions to address contemporary issues. “They’re not using the colonizers’ tools to heal, they’re using their own values,” said Heather Williams, program assistant at the First Nations Educational and Cultural Center and a panel speaker following the documentary screening. Jordan Begay, a senior biology major from Gallup, New Mexico, attended the screening and found the documentary’s message particularly resonant. “To have this documentary that addresses the issue in this beautiful manner is remarkable. Going forward with that, I think it’s a very progressive way of dealing with this type of trauma,” Begay said. Throughout events like the Gary Morseau visit and the Hollow Water screening, organizers kept the focus on informing non-indigenous attendees about the many contemporary aspects of native communities. 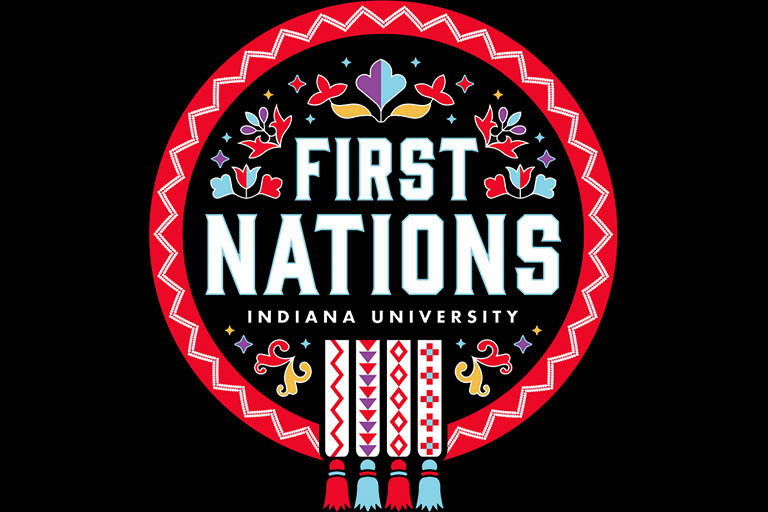 At each event during Native American Heritage Month, for instance, organizers began by reading a land acknowledgment statement, which recognized the Miami, Delaware and Potawatomi people as the past, current, and future caretakers of the land upon which Indiana University sits--land that was stolen from native communities by European settlers. Maintaining this focus on the contemporary, celebrations and difficulties alike, is a key way of seeking justice for indigenous communities and undoing the widespread misinformation about native peoples that exists today, according to Williams. “The more that we talk about it, and the more that non-indigenous folks recognize and acknowledge that their ignorance of native issues is part of the problem, the more that we can all heal,” Williams said. Native American Heritage Month events will continue on the Bloomington campus through the end of the month. For a full schedule of events, visit the FNECC’s website.